The mid-range XRX, with its more responsive engine, enhanced rider ergonomics, contemporary style and advanced technology, delivers a new level of performance, capability and style. With all the features you'll find on the base XR, the new XRX adds a major step up with all-new technology, including: adjustable full-color TFT display, ergonomic backlit switch cubes, keyless ignition, four riding modes, LED lighting and DRL all as standard. 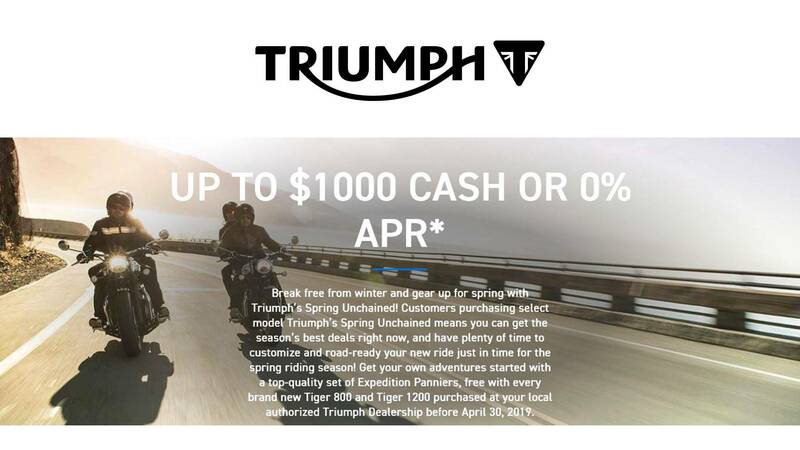 Add to that a step up in core features, including; Triumph Semi-Active Suspension, optimized cornering ABS and optimized cornering traction control, heated grips and you get a brilliantly versatile adventure bike, that’s as perfect touring the world’s highways as it is for your everyday ride. LIGHTER BY 4.4 LBS: The XRx is 4.4 pounds lighter than its predecessor to improve its handling and maneuverability, achieved with over 100 enhancements across the whole motorcycle including a lighter flywheel, crankshaft, exhaust silencer and battery. 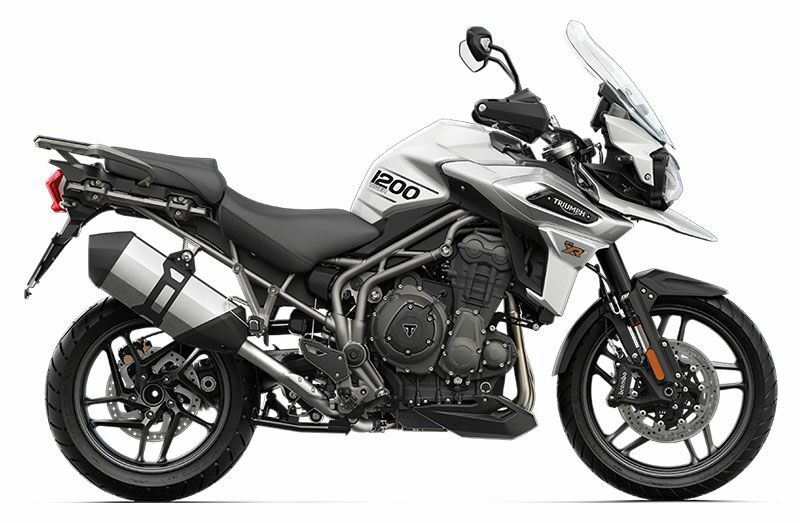 MORE POWERFUL AND RESPONSIVE ENGINE: The new generation Tiger 1200 XRx engine delivers more peak power (139 HP at 9,350rpm) and maximum torque of 90 FT-lbs (at 7,600rpm), for more immediate power delivery and even better all day, smooth reliable riding. STATE-OF-THE-ART TECHNOLOGY: In addition to the XR spec, a host of high value XRx features include Daytime Running Lights and LED lighting, full-color TFT Instruments, backlit new switch cubes and five-way joystick, four riding modes and keyless ignition. ADJUSTABLE SEAT HEIGHT: The Tiger 1200 XRx features an adjustable ‘2 position’ seat mechanism allowing the rider to lower seat height by .78 inches from 33.6 inches to 32.8 inches to suit their style and provide a more comfortable riding experience.